Jpeg repair software for damaged graphic files. It can recover JPEG and PSD file formats. Program can recover corrupt JPG and PSD graphic files and saves them into the BMP format. Jpeg repair restores images with original palette and dimension, recovers layer data for Adobe Photoshop PSD files. 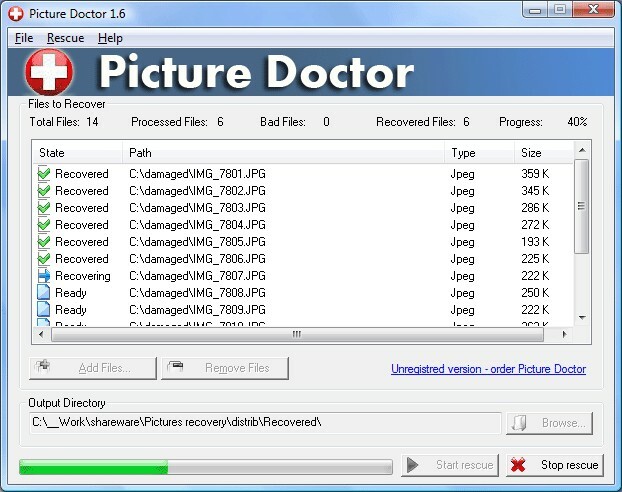 Jpeg repair works in a batch mode recovering all your damaged files in one go. 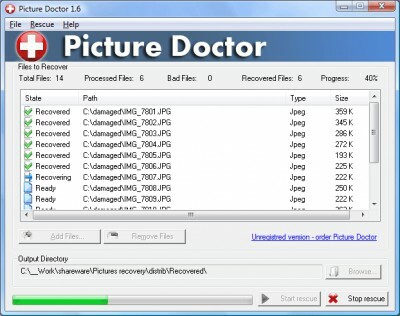 Recover corrupt JPEG and PSD files quickly and easily.